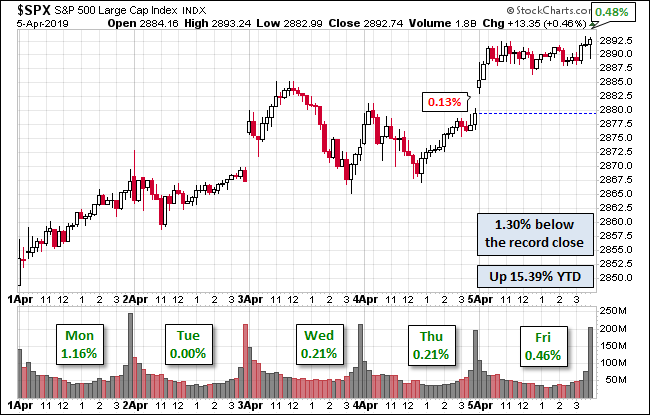 The U.S. Treasury puts the closing yield on the 10-year note at 2.50%. 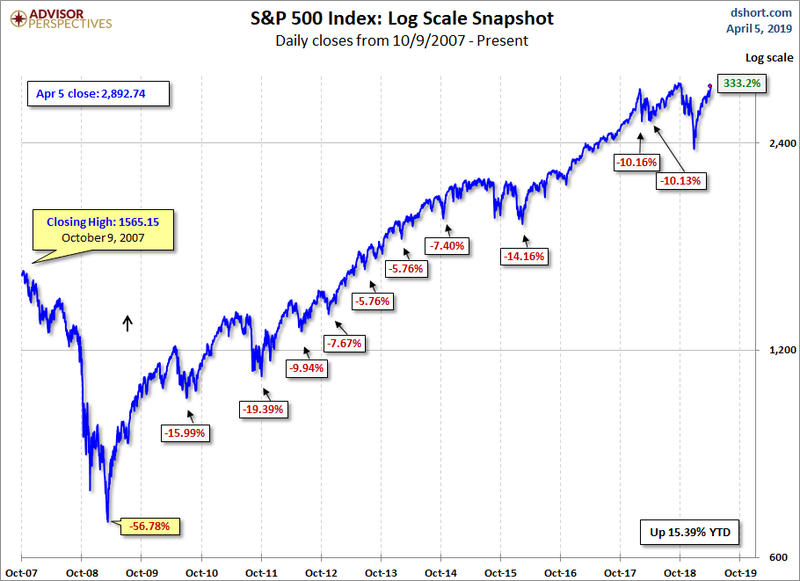 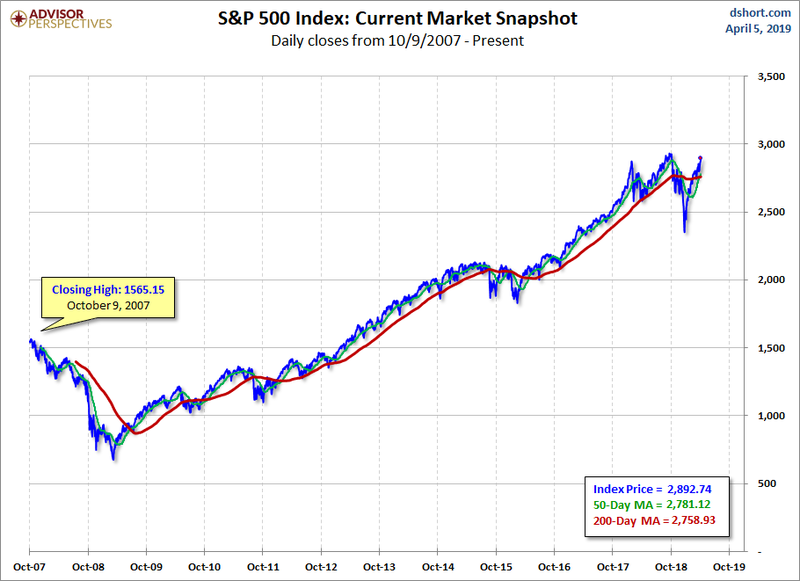 Here’s a snapshot of the index going back to December 2008. 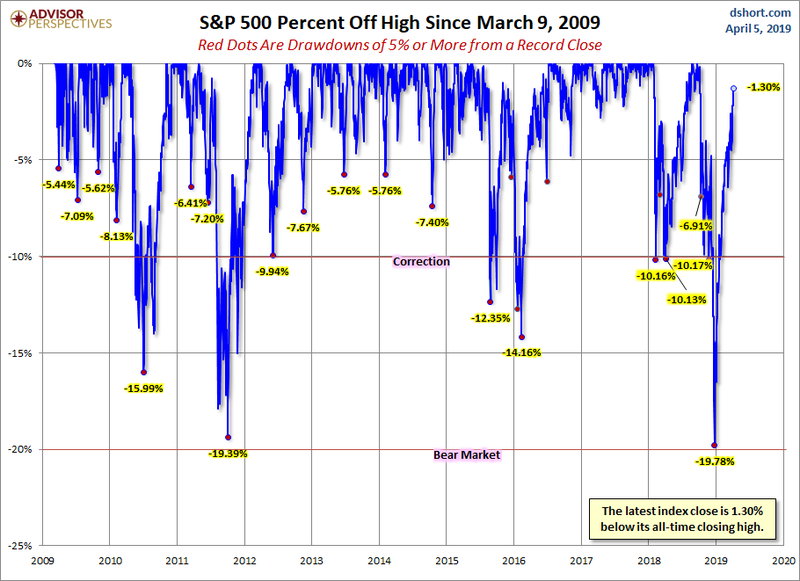 Here’s a snapshot of record highs and selloffs since the 2009 trough. 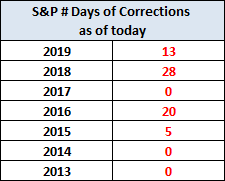 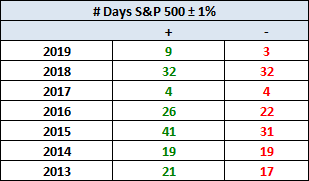 Here’s a table with the number of days of a 1% or more change in either direction and the number of days of corrections (down 10% or more from the record high) going back to 2013. 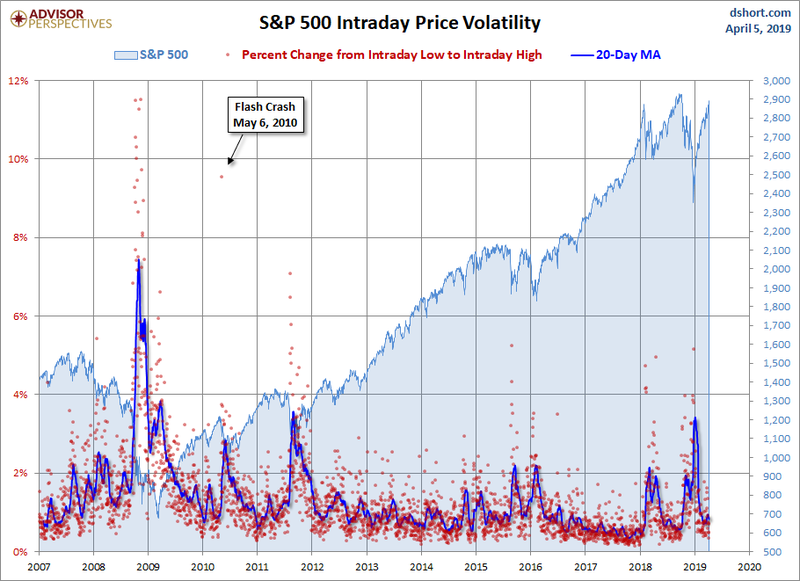 For a sense of the correlation between the closing price and intraday volatility(NYSEARCA:VXXB), the chart below overlays the S&P 500 since 2007 with the intraday price range. 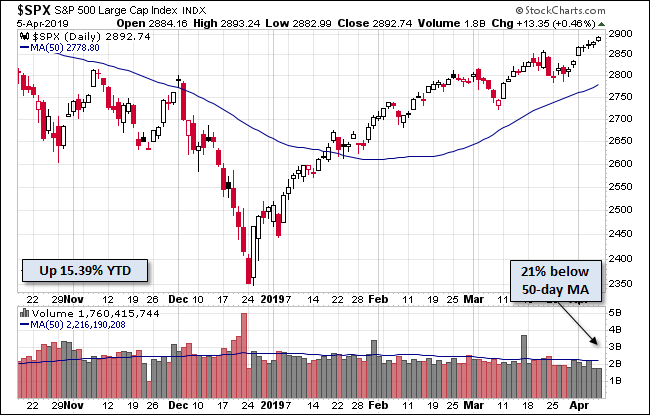 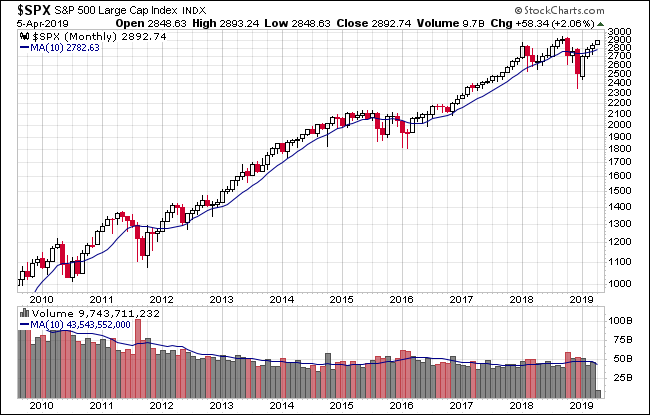 We’ve also included a 20-day moving average to help identify trends in volatility.